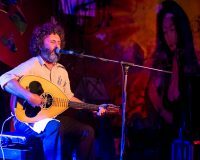 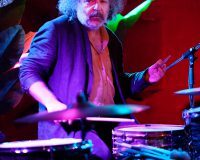 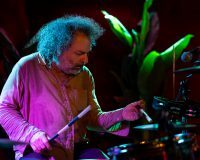 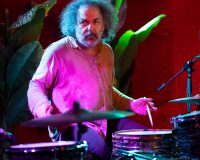 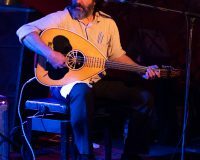 Over the course of five years and three albums, the duo Xylouris White, comprised of drummer Jim White (The Dirty Three, Cat Power) and Greek singer and lute player George Xylouris, have developed a sound that is unique. 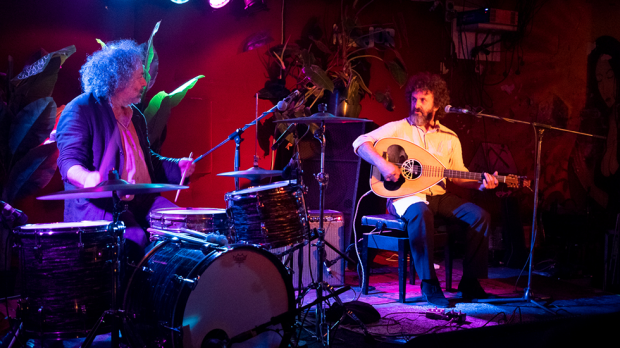 Drawing on the folklore of Xylorious’s Cretan heritage, these traditional songs and stories are metamorphosed when met by the duo’s post-punk and avant-garde musical adventurism. 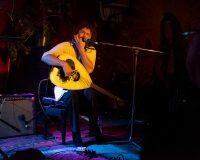 This was Xylouris White’s second time in Fremantle, (their first was last year as PJ Harvey’s support at the Fremantle Arts Centre), but their first in their own right and the intimate surrounds of Mojo’s Bar was a perfect fit for their improvisational-folk stylings. 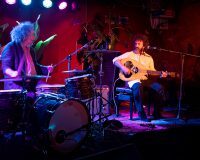 On stage, the duo was positioned side-by-side, which while it demonstrated the two’s equality also served a very necessary purpose, allowing the two to be within one another’s line of sight, as they made their way through an hour and half-plus set that covered material from all three of their albums. The set opened with a piece that featured the motif of two of the more experimental instrumentals from this year’s Mother LP, which set the mood of the venue as both Xylouris and White allowed the music to take them wherever it may go in the here and the now. 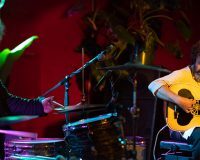 Rather than re-creating what they had captured on record, the duo improvised and drew inspiration off one another and was highlighted when the two entered a pattern of stopping the music, then re-commencing, before once again halting, allowing both to demonstrate the mastery each has over their respective instruments. 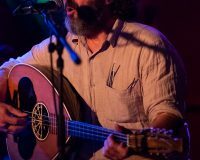 I imagined that to an outside listener, the sound may have been likened to a Spotify world music mix on shuffle where only the first ten seconds of each track was played. 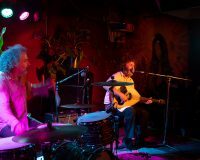 The upbeat Forging from the duo’s first album was next, and had the crowd dancing and hand-clapping as White’s drums and drones of the lute were far closer to Sonic Youth than traditional folk music. 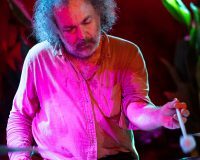 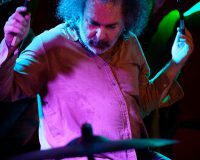 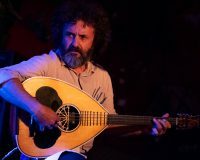 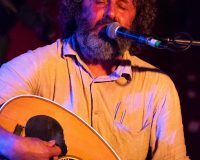 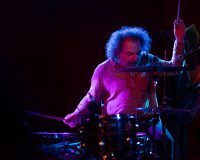 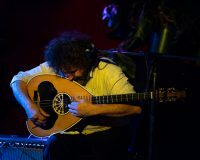 Xylouris’ voice is as much about his vocals as it is an instrument, and its clarity alongside the heavy snare crashes was a credit to the sound guy. 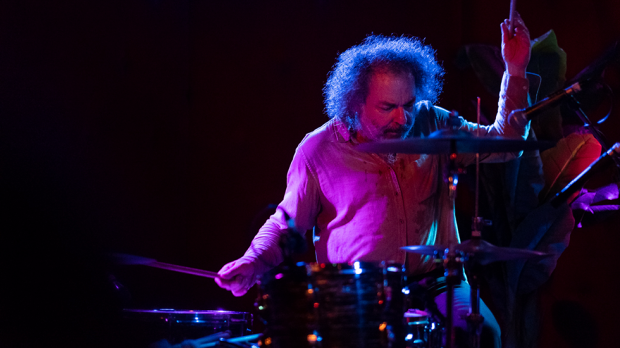 Other highlights from the set included the title track of the Black Peak album, which was a quieter number that demonstrated Xylouris’ immense vocal talent, the frenetic Only Love with its all-out rock-like beat and dynamic, pulsating musicality had the crowd in raptures, and Lullaby, which by its end was able to lull the respectful crowd into a calm and peaceful silence. 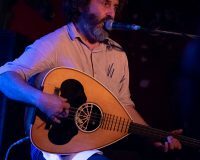 The final track was Hey Musicians, a very fitting piece to the end the night with, as Xylouris broke from his native tongue to relay in English “Hey Musicians, tune up your instruments, for me to sing to my loves”, before the two once again intricately wound their way through a rise and fall of volume and emotional intensity before hitting their final crescendo for the night, leaving the crowd both in awe whilst full in heart. 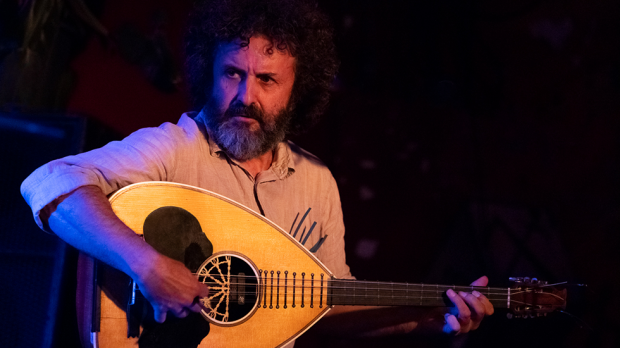 Ultimately, what Xylouris White demonstrates is the immense power that artists’ music can possess when artists strip themselves of all excesses and focus on what is innate. 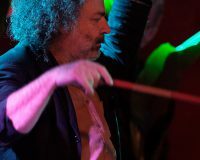 And it is for this that I thank them.